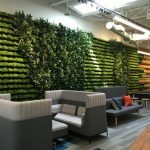 A closer look into the role IoT and real-time data are playing in workplace design and how businesses are already benefiting from it. An architects shares some ideas for ways to incorporate active shooter security into the commercial office space, and thus developing better solutions for your clients. 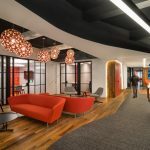 When community hubs are used in the workplace to inspire and facilitate connection, creativity and energy, there’s no doubt that innovation will follow. Jean Couch, posture advisor to Google, Stanford University, Kaiser Permanente, and Brightday, offers a few ergonomic tips that companies rolling out wellness programs can offer to their workforces.